Report hours or donations by clicking the Volunteer Hours button in lower left corner of the navigation bar from any screen. 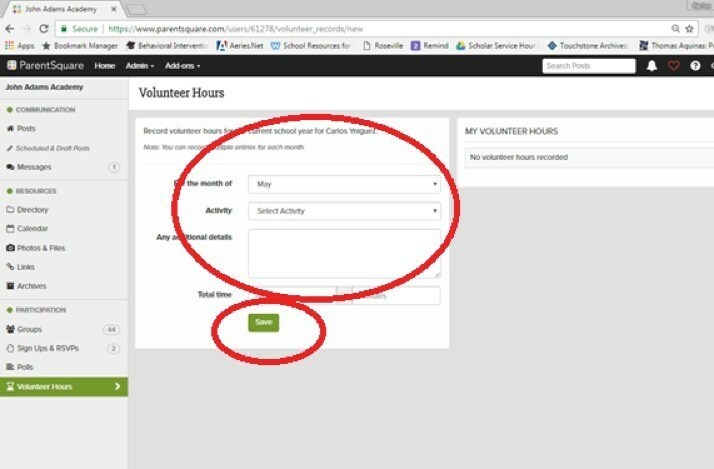 In the Volunteer Hours screen, report your volunteer information and click "Save". For safety purposes all visitors on campus are required to sign in upon arrival and wear a visitor badge each day. JAA uses the sign in logs to know who is on campus at any given time and for safety purposes. 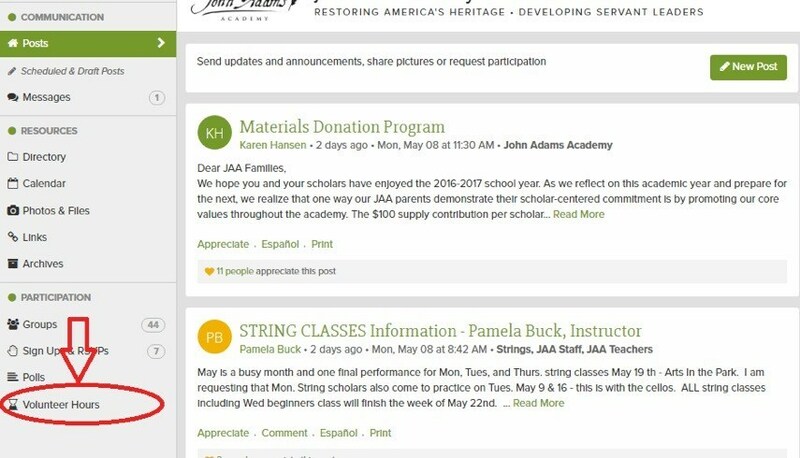 Please note: JAA does not track volunteer hours using these logs.